In celebration of the Feast of St Joseph the Worker in Brgy. Pajo. We would like to invite you in our Race for a Cause here in Meycauayan Bulacan. 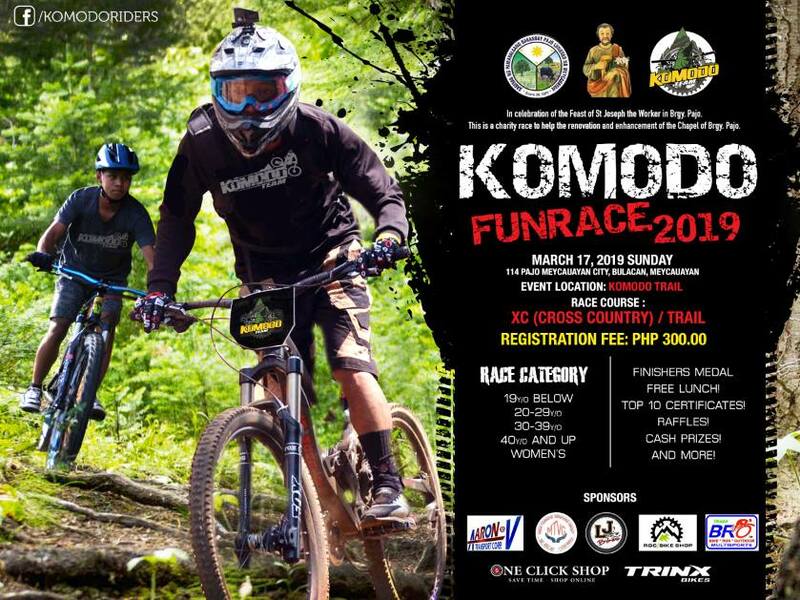 Proceeds of this charity race will be used for renovation and enhancement of the Chapel in Brgy Pajo. All participants will receive a finishers medal and race kit, including free lunch and drink. As a participant of the race event, you will be eligible to join the raffle. If ever you place 1st to 3rd in a category, you will receive a trophy and cash prize. 4th to 10th place in every category the will receive a certificate for their achievement in reaching their place in the event. This event is already done.